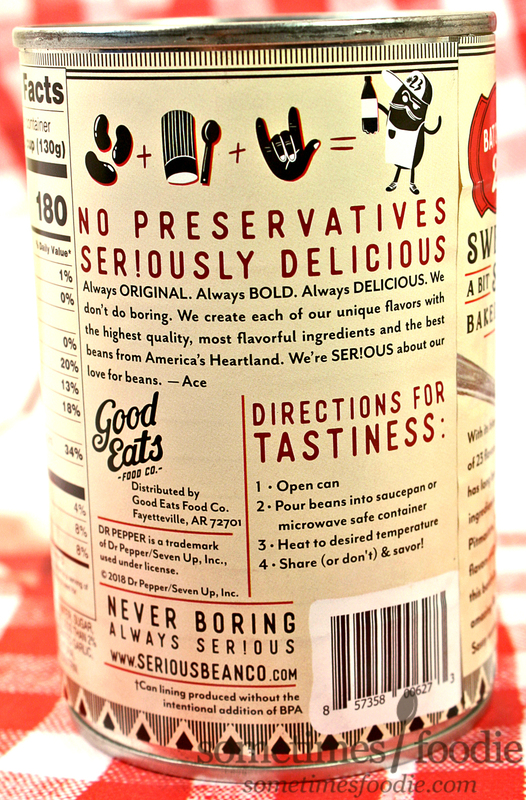 Sometimes Foodie: Beans & Soda, a Match Made in Heaven? Or Gastronomic Nightmare? 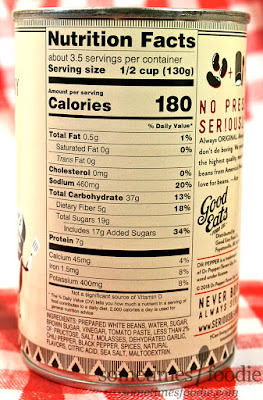 Beans & Soda, a Match Made in Heaven? Or Gastronomic Nightmare? 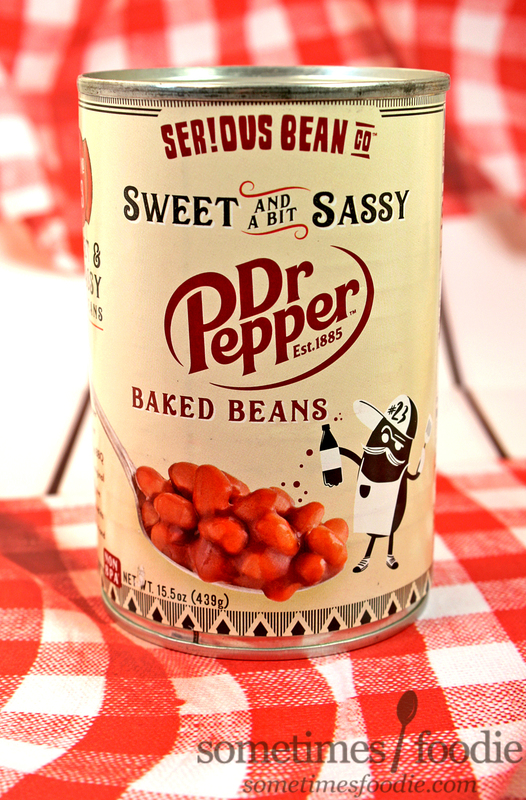 Dr. Pepper & Baked Beans Sitting in A Tree, F-A-R-T-I-N-G. Despite the fact that they are popular enough to warrant several shelves in the grocery store, I feel like people shy away from professing their affinity for baked beans. I guess it's because we all associate them with, you know,... the "aftermath." But they're my favorite grilled-food side dish and to see them paired up with one of my favorite sodas is pretty cool. When I first saw this post by The Impulsive Buy, I got really excited. My favorite soda AND BBQ? Wait a minute, this combination isn't new at all! Maybe it's an American thing (you know what, it probably is...) but Dr. Pepper infused BBQ sauces and dishes have been around for years. Heck, it's one of my favorite BBQ hacks! Mix some into your BBQ sauce recipe to give it a little pizzazz, or even marinate your meat with it to make things extra tender. Dr. Pepper and BBQ go together like peanut butter and jelly. Why did I think adding beans to the mix would create a revelation? So, now that the sparkle has faded, are these beans all they're cracked up to be? Packaging-wise, this is a pretty nice label. The fonts are varied in size, typeface, and color and even though they've packed an impressive amount of information onto this can, it doesn't feel cramped or overcrowded. The playful layout and illustrations provide some room to breathe along with a much needed fun-factor. Scent-wise, these did have a sweet and slightly cherry-like aroma, which was sweeter than more cans of baked beans I have had in the past, but the scent alone wasn't distinctly Dr. Pepper. I grabbed a pot and heated these up on the stove to serve with hot dogs for a lazy week-night dinner, and the verdict? Meh. Not great, not bad, but just "meh." These taste very Dr. Pepper heavy, which isn't bad, but there's nothing to break up the sweetness. These are almost syrupy! As-is, these paired nicely with some spicy buffalo-style dogs (my favorite way to eat a hot dog) but when paired with a classic frankfurter, these were just too sweet. As I said before, Dr. Pepper BBQ and baked beans are nothing new, you can google a million recipes to DIY your own, and what sets those apart from this pre-made canned variety is that the DIY versions add something else to the mix. Maybe it's chopped up bits of smokey, salty bacon. Or some spicy mustard or hot sauce. 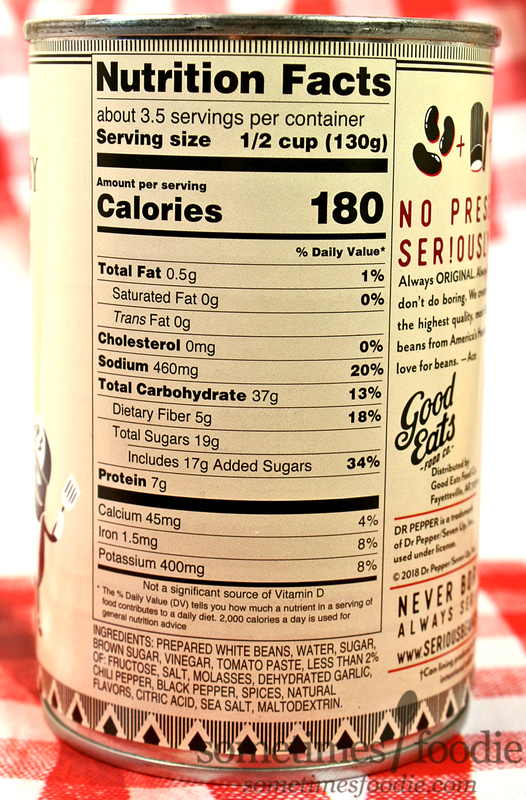 Either way, this can of soda beans is just that, soda beans. These are sweet, one-note, beans with a Dr. Pepper aftertaste, which IS enjoyable, but if it had a little more variety to it's flavor profile it has potential to be great. I can't say these are a must-try for anyone, especially when you can DIY your own rather easily, but I WILL say the label design on this can is pretty darn great, and I would like to see more from this company in the future.